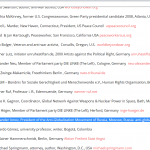 The endorser comment of AGM has been posted on the official website of the Unity & Solidarity Call, antiwar, antiracist and anti-oppression campaign for coordinated protestes across the United States, from 13 to 21 February, 2016. Alexander Ionov, on the behalf of the Anti-Globalization Movement of Russia, expressed our solidarity and gratitude to the organizers, for their struggle against racism, inequality, police terror and war crimes both inside the U.S. and outside its borders. 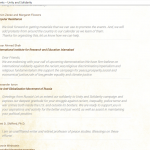 You may read Alexander’s comment as well as comments of other endorsers here: http://unityandsolidarity.org/endorser-comments/. 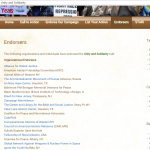 AGM has also been put into the list of endorsers for Unity & Solidarity Call – http://unityandsolidarity.org/endorsers/. We are also happy to announce that we have signed the petition for the establishment of the multipolar coalition which can resist the destructive policy of military intervention and illegal regime change promoted and practiced by the United States, its allies and media. The petition was created by Coop Anti-War Cafe based in Berlin (http://coopcafeberlin.de/).